Tomorrow evening is a big Champions League night for Liverpool as we face PSG at the Parc des Princes. Unfortunately, a win in Paris will not guarantee us a place in the knockout stages but if we do pick up all three points then a draw against Napoli will be good enough. Jurgen Klopp also has the dilemma of picking his starting eleven for this game, Jordan Henderson was sent off against Watford at the weekend meaning he will probably play against PSG on Wednesday night because he will miss the Derby at the weekend. Jurgen probably already had a good idea of who was going to play on Wednesday night but with Henderson throwing a spanner in the works I’d say the midfield three will probably be Fabinho, Henderson, and Wijanldum. Shaqiri will be the one to drop out for obvious reasons but I feel like he will be a good option to have on the bench and will be able to offer us a little bit more if we need a goal or two. You could argue that Milner was being rested at the weekend because he was going to play against PSG so he could also come in to replace Henderson or Wijnaldum as I think Fabinho is nailed on to play in this game. There was also a doubt about Mane being fit for this game but it has been confirmed this morning that he is fit and ready to go so I’m hoping the front three can do the business tonight. PSG currently sit top of Ligue one with 42 points having won all 14 games played so far. Their latest win was against Toulouse on Saturday with the French champions walking away with a 1-0 win. 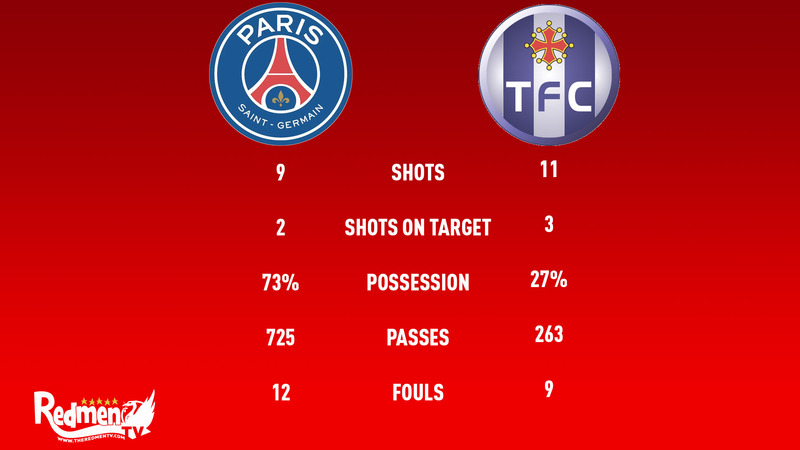 As you can see PSG pretty much dominated that game in terms of possession and the number of passes played but Toulouse did not let them off with them recording a total of 11 shots compared to PSG 9 so if Toulouse can create that many chances against them then surely so can we? They’re doing the best they can do in the league at the minute and that is no surprise to anyone considering the players and the manager that they have. They have to win this game against us in order to have any hope of progressing through to the knockout rounds so you could say this game is more important for them than it is for us so I am expecting a difficult match on Wednesday night. 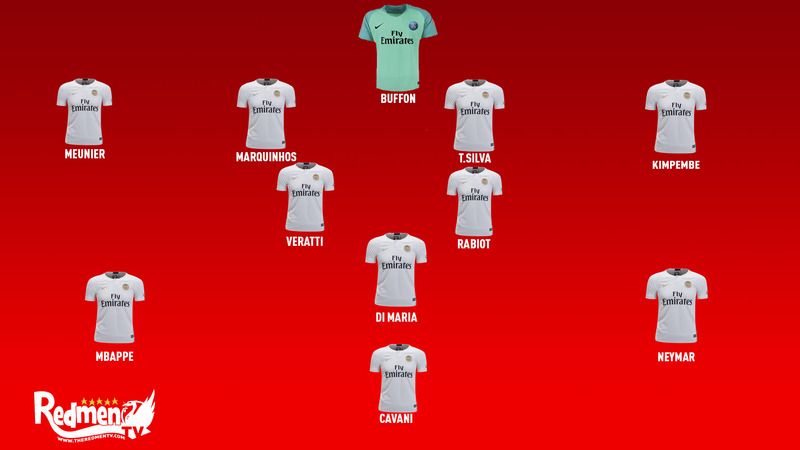 there was a lot of chat last week about Kylian Mbappe and Neymar not playing in this game but obviously, they had to rain on our parade and be confirmed fit. That will be a big boost for the team and also for the fans as they are unstoppable when at their best but hopefully they will still be feeling a bit under the weather tomorrow night. In terms of his record against Liverpool, he has only managed three matches, two back in 2015 when we faced Borussia Dortmund in the UEFA Europa League. The first leg was in Germany with that game finishing 1-1 and the second leg being that unforgettable night at Anfield when Dejan Lovren scored that header to send us through to the semi-final. Obviously, the third game came back at the beginning of the season when we beat PSG 3-2 at Anfield. 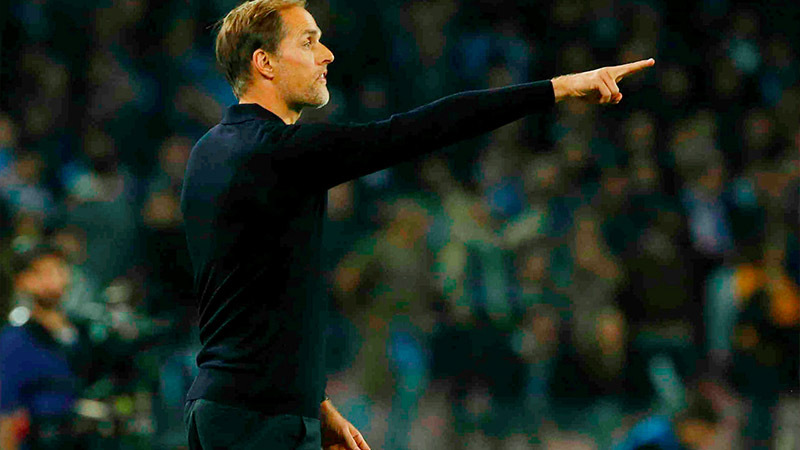 In terms of his record against Jurgen Klopp, they have played each other thirteen times with Tuchel winning one, drawing three and losing nine so I would say we have a pretty good chance of winning on Wednesday. Let me know your preferred XI and score prediction in the comments below!